Fenix International is a next-generation energy company. Our mission is to transform our customers’ quality of life through disruptive innovation in energy and financial services. Our flagship product, ReadyPay Solar, is an expandable, lease-to-own solar home system financed through affordable instalments starting under $0.19 per day. We use real-time transaction data to create a unique credit score to finance power upgrades and other life-changing loans and open up a wider world of energy and financing for our customers. To date, Fenix has sold over 200,000 ReadyPay Power systems in Uganda and Zambia, bringing clean, reliable power for lights, phones, radios, TV and much more to over one million people. In 2017, Fenix announced that it was joining forces with ENGIE, one of the world’s largest energy companies and a leader in the move to renewable, decentralized and digital energy. ENGIE will make significant commercial investments in Fenix to accelerate the path to our mission. Fenix will operate as an autonomous company within the ENGIE group, with an unrelenting focus on innovation, smart iterative design, strong team culture and exceptional customer experience. Together, Fenix and ENGIE plan to bring life-changing energy and financial services to tens of millions of off-grid customers and to make universal access to modern energy a reality across Africa. This is an incredible opportunity to work with a high-performing team supporting Fenix’s mission to bring inclusive and affordable energy and financial services to millions across Africa. The Global Policy Director will be responsible for developing policy frameworks and advocating for favorable government policies, regulations, and standards to support Fenix’s business and customer interests in sub-Saharan Africa. The position is based in Uganda and the portfolio includes East, West, and Southern Africa. The Policy Director will work in close collaboration with local managing directors to support relationships with bilateral and international institutions, trade associations, NGOs, relevant government officials and influencers. This role will report to the Chief Financial Officer and will work cross-functionally with Fenix Global departments and all Fenix country subsidiaries. Create and execute the Fenix Global Government & Policy strategy to achieve Fenix’s long-term vision and near-term goals. Serve on the Fenix Leadership Team and drive to achieve Fenix’s mission and values. Provide assistance and work with grantees to ensure successful, compliant execution of grant projects and advocacy campaign. Why do you want to work for Fenix? 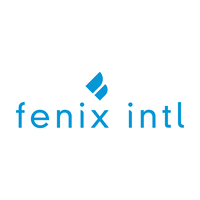 What leadership and/or entrepreneurial experience will you bring to Fenix in this role? What are the 2-3 ideas/policies you would advocate to governments, parastatals and NGOs across Africa to improve access to affordable energy? Fenix offers a competitive salary and a fun, fast-paced and high-growth work environment. We recognize the value of diversity in our workforce, and encourage all qualified candidates to apply. We thank all candidates who choose to apply, however, only those selected for a further interview will be contacted.